Would you like to relax and while away the hours as your body regenerates? With sophisticated setting, the Terme di Roma Wellness Centre invites you to enjoy an oasis of relaxation where you can tend to your body’s health needs! 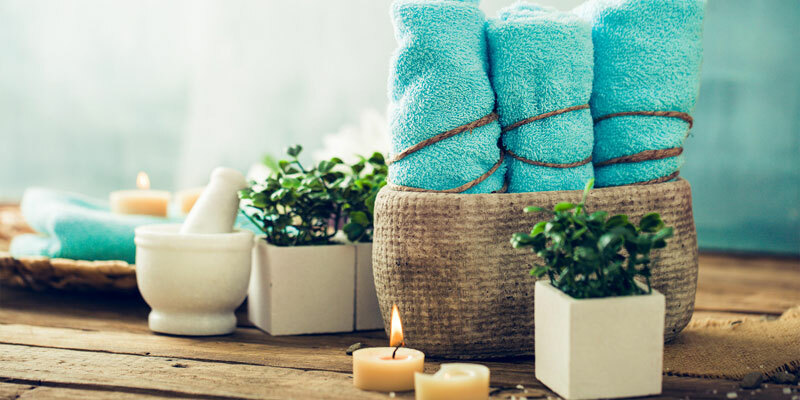 The most pleasurable sensations are awaiting you thanks to the massages and body treatments we offer which, in addition to traditional treatments in thermal medicine, present you with a choice of wellness programmes employing the latest technologies. 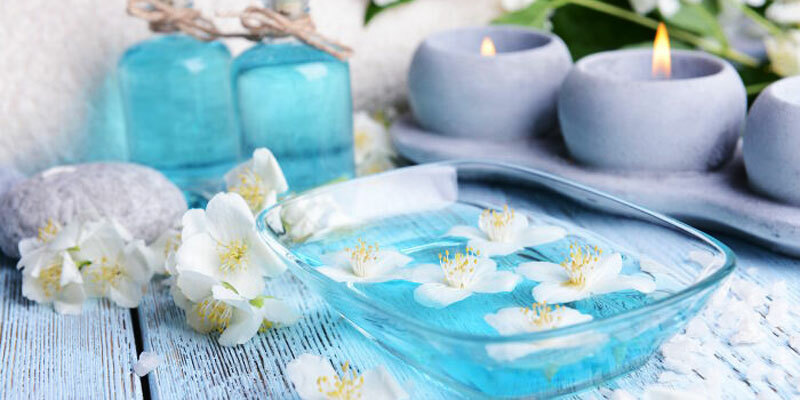 Aromatherapy, with its ancient origins, serves to harmonise body, mind and spirit, making it one of the most effective natural methods there is in relieving stress-related disorders. 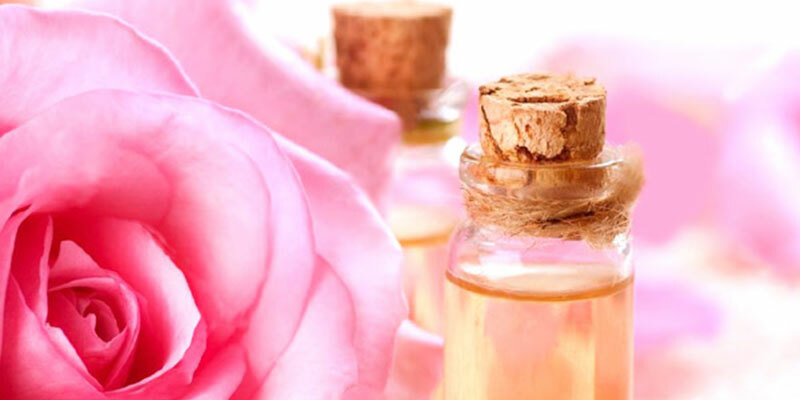 It is based on the use of essential oils which, extracted from trees, flowers and shrubs, have a distinctively unique chemical composition. 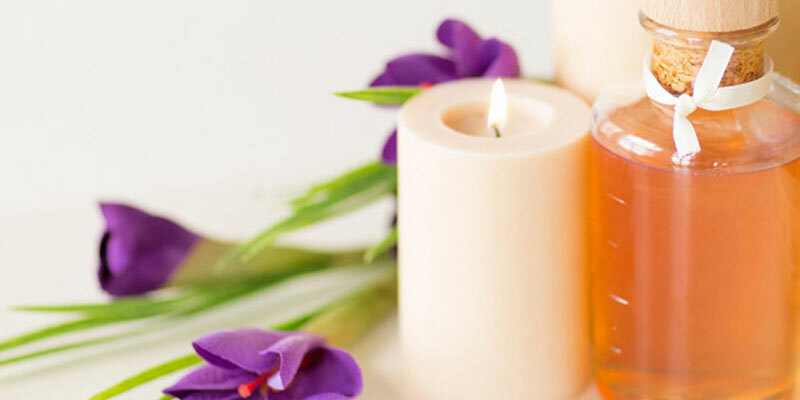 Aromatherapy can therefore be used both on a physical and psychological level, according to a holistic approach whose aim is to treat the body as a whole, endeavouring to reach a complete state of equilibrium, and to guarantee a positive level of well-being in general. 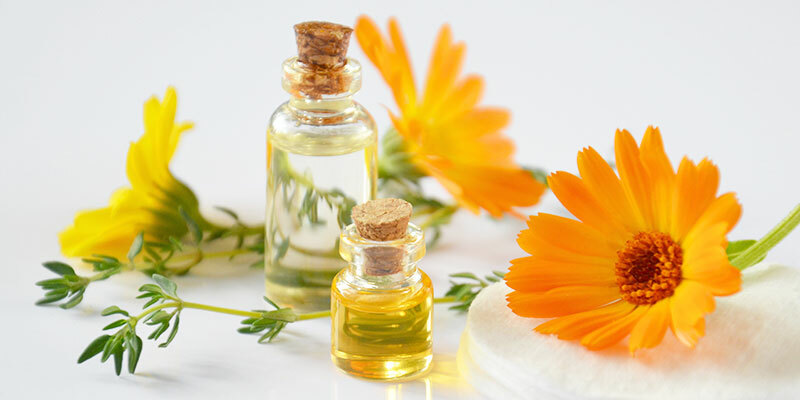 Essential oils can have different uses, such as aromatic massage in which their therapeutic effect is exploited, due to both their inhalation and absorption by the skin. 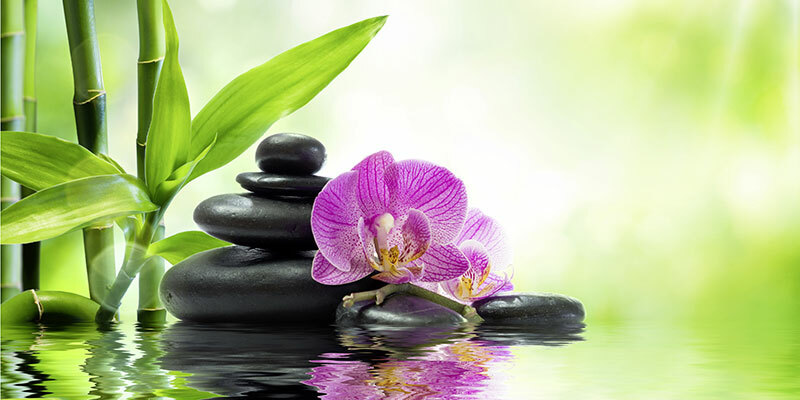 Flower massage is a massage that uses Bach flowers as catalysts of awareness. The flowers act through a "vibrational" mechanism, rearranging one’s internal frequencies, as if they tuned people’s emotional strings. Their action on our flow of energy is indeed subtle but precise. 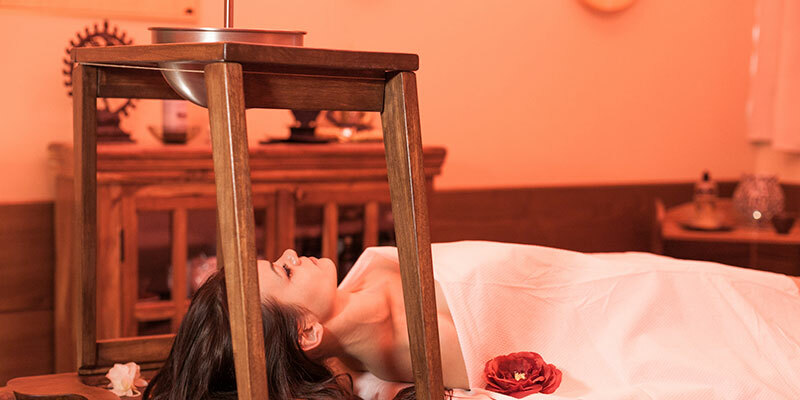 These features make flower massage a "rebalancing and harmonising" massage par excellence. It can be defined "multisensoral therapy" that one that can help the psycho-physical health. The CM has a double action: moisturize and relieve the skin more that any other oil, thanks to the high concentration of active ingredients of the vegetal butter the candle is made of, and give a pleasant feeling of relax and mental wellness, because of the chromo-therapist action of the candle and the light of the flame and the aromatherapist action of the essences released by the candle, reactivate all our senses by releasing tensions and mind. The slow, sweet and embracing movements of the massage and the oil of the candles, give sensual, aphrodisiac, heavenly scents... Let you be cuddled by the pleasant feelings of the drops of the vegetal butter that glide on the skin. The massage will make your skin not only more beautiful and elastic but it also will stimulate senses and relax mind for a fully wellness that will envolve even the spirit! To more appreciate the CM, our expert staff suggest to do first a hot bath in our thermal waters or a scrub. 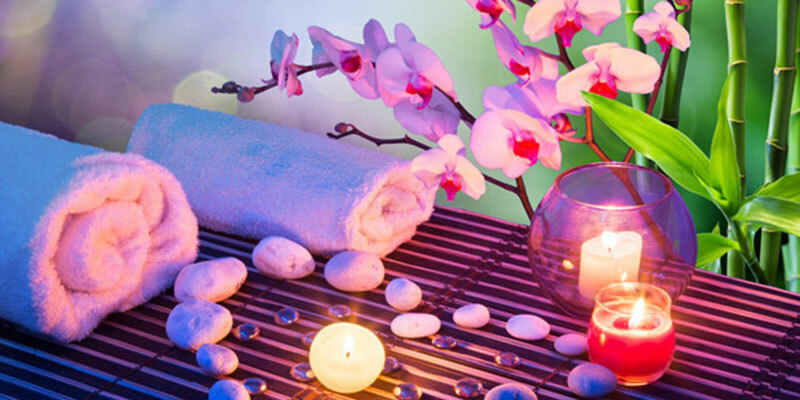 The Californian massage is a rhythmic, enveloping and gently emotional massage. It relaxes, calms and tones, and enables one's vital energies to run freely. It has a toning action on the skin. It works on the muscular system, easing tensions and reinvigorating energies where lacking. It favours the elimination of toxins. It has an extraordinary beneficial effect on mental activity, emotions and the psyche. It is a relaxing and soothing massage that is part of the family of psycho-body massages and comes with the experience of Californian therapeutic centres. It significantly increases body consciousness and enables one to reach a state of openness, relaxation and abandonment. It is useful for people who have difficulty concentrating, those who are tense and anxious, or who are experiencing changes in their body due, for example, to a weight loss diet or disease. The sensory Californian massage also improves tissue perfusion due to the blood and lymphatic circulation draining manoeuvres. 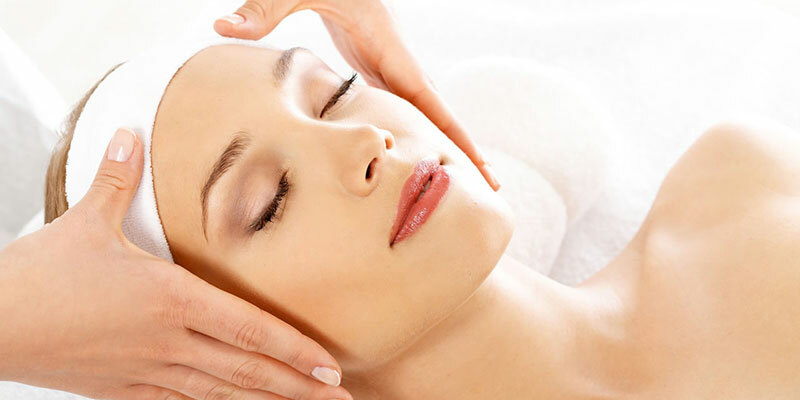 It is a relaxing massage with regenerating effect. Born in Sweden at the end of XIX century. The Swedish massage relishes tensions, tones and relaxes the body and drains the muscles freeing them from toxins, improves blood circulation by favouring the return of blood to the heart, optimises lymphatic circulation, tissue nourishment and Cell regeneration, fights water retention. The further goal of Swedish massage is to recreate on the body the same effects obtained with gymnastics. It has also been used in kinesitherapy as a sports, reeducational and medical manipulation. Romans have always lived side by side with the culture of thermal baths. Since ancient times, Thermal Baths have been a place where people can meet and care for their bodies at the same time. 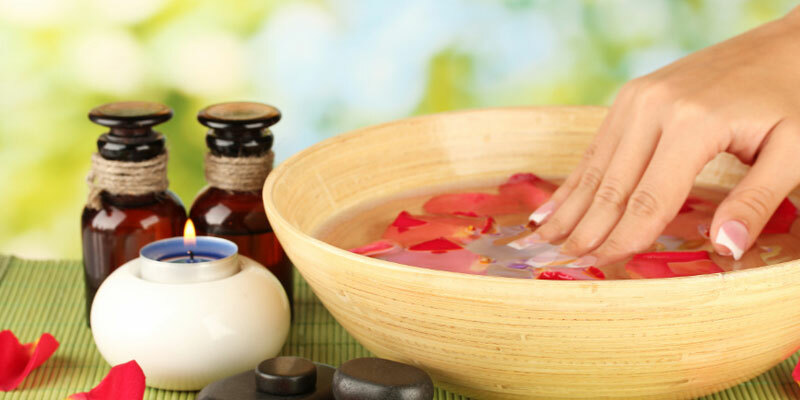 In addition to utilisation of the waters, massage plays an important role in the programme. The aim of the Ancient Roman Thermal Massage was to Cleanse the skin, Reduce imperfections and Relax the muscles. To this end, the products used at the time are still used today, for example, Chilli Pepper for vasodilation, Salt to eliminate dead cells (mechanical peeling), and Honey to rehydrate the skin. 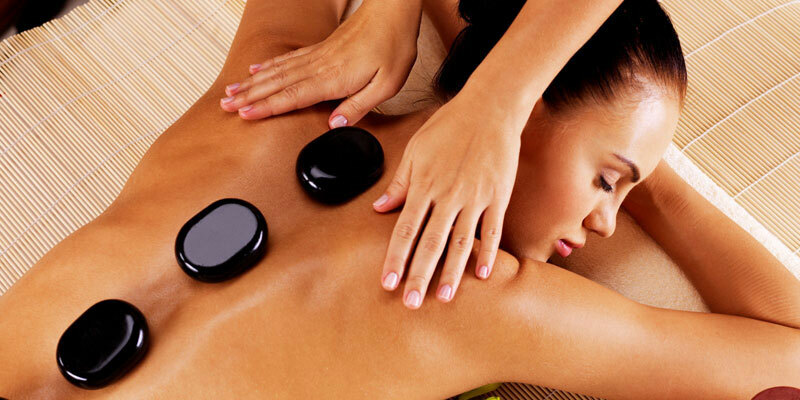 This type of Massage has both a Draining and Relaxing effect, cleansing and nourishing the skin of the entire body. This Hawaiian massage acts on the body to bring benefits to the lymphatic, circulatory, respiratory, digestive and muscular systems. Particular attention is paid to treating the joints. On a mental and spiritual plane, Lomi guarantees relaxation by acting on the nervous system, and it seeks to form a bridge between body and spirit. It is also used for combating depression, stress and trauma. Imagine four skilled hands that move in full synchrony on the body, almost like a dance, in an atmosphere enriched by aromatherapy and a background music that follows the crescendo of movements. This and more is part of harmony with 4 hands, the new massage conceived by the staff of the Spa of Rome, which derives from a method of Hindu origin, and aims to rediscover the concepts of rhythm, time, balance and participation, which during the session are amplified creating u A harmonic and intense wave thanks to the harmony between the two operators and the person treated. The relaxing and rhythmic flow generated by the synchronous movements of the four hands refers to the feeling of safety and the vulgence typical of the maternal embrace, connecting the emotionality of our organs with that of our face. The four-handed massage lasts 40 minutes, has lymph draining effects, decontracts the muscles of the whole body, dissolves the joints, helps the circulation and flow of vital energy, leaving a deep sensation of tonicity and relaxation. The treatment eliminates the tensions also thanks to the aroma of the oils giving a deep sensation of wellbeing and détente. Face to face treatment: the contact of the hands and the merging of the eyes envelop the couple in an exclusive atmosphere where our specialized operators will perform a synchronized massage for a pleasant romantic moment to remember in time. It is a method based on the principle, according to which, there are precise correspondences between organs and reflex points in the foot, locatable thanks to their division into zones. Working on reflex zones with massage and pressure establishes contact with the corresponding body parts. 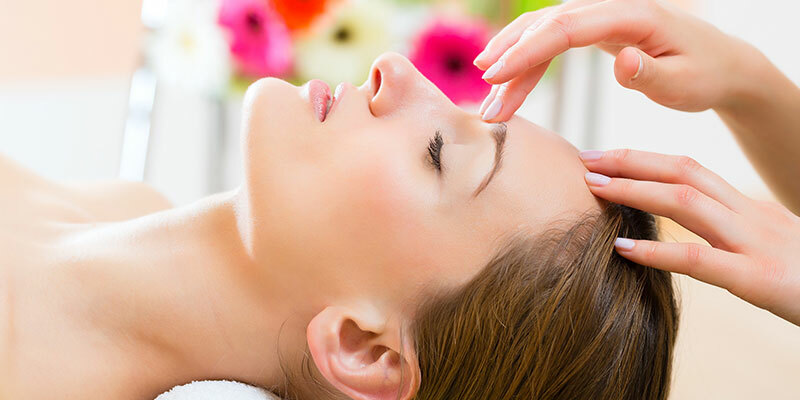 Massage deriving from Ayurvedic medicine, which involves gently pouring oils onto the forehead in the region of the "third eye". According to Traditional Chinese Medicine, Zonal Shatsu is based on the concept of "one part for the whole" i.e. by treating a single area, the entire body obtains the benefits. Traditional Shatsu is based on Traditional Chinese Medicine. It is one of the most powerful techniques for helping the body to restore deep balance, essential to maintaining one's health. Bringing yourself closer to the rhythms of nature with their harmony and regularity helps human beings to maintain their balance. In reality, daily life causes alterations and destabilisations, which accrue dystonias on a physical, mental and emotional level, altering one’s state of health. Shatsu is the most effective technique for re-balancing the psychosomatic spectrum. 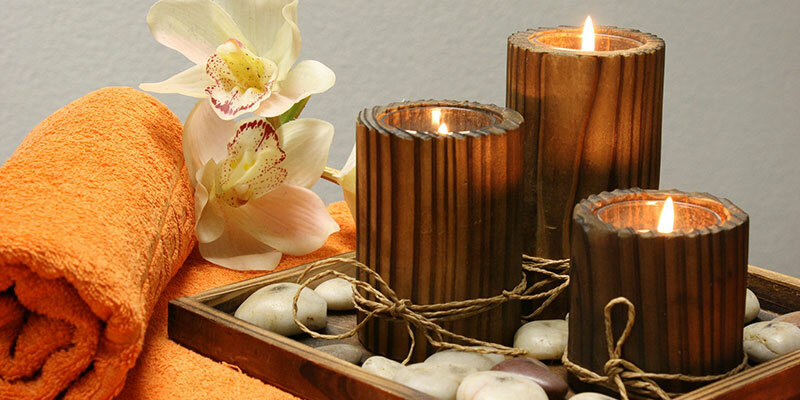 Ki Harmony is a massage for promoting well-being and body beauty. 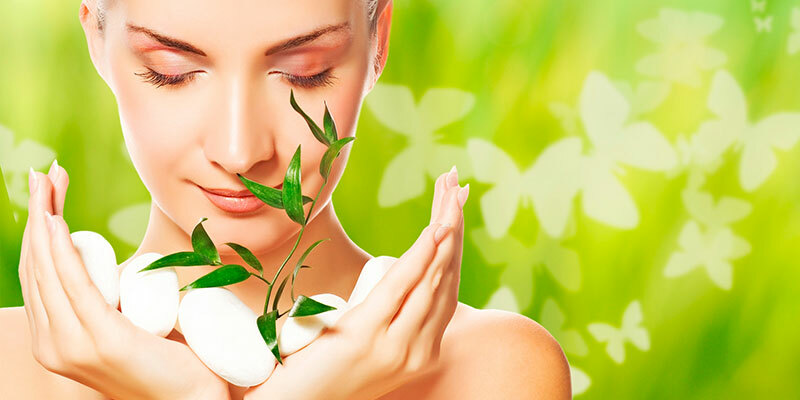 It is based on ancestral Chinese techniques and the use of innovative cosmetic products capable of stimulating the treated skin to produce beta-endorphins and therefore sensations of joy and relaxation. Beauty, happiness, well-being and relaxation in one, single treatment, becomes a reality thanks to the Ki Harmony massage method. Stretching, acupressure, and working on one’s energy meridians relax the body and spirit, bringing surprise and delight, and making this a benchmark in the field of well-being techniques. It is a gentle, relaxing massage that loosens muscle tension. The wealth of manoeuvres can alleviate many common ailments such as neck pain, backache, and muscle and joint stiffness, bringing a sense of overall well-being. The numerous manoeuvres fluently alternate to stretch, tone, stimulate the circulation and revitalise the entire body. 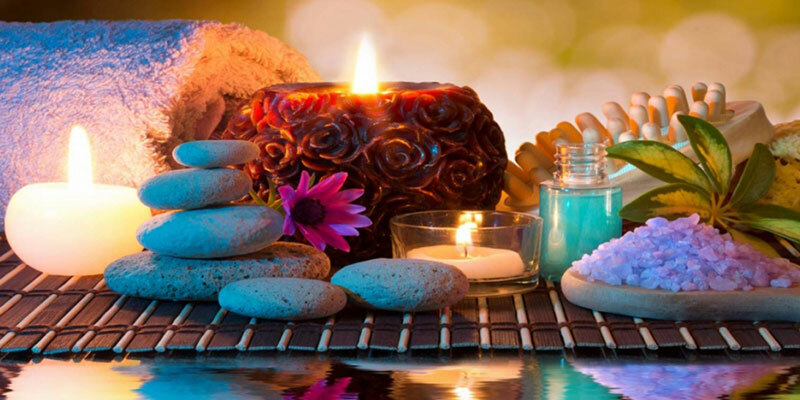 This type of massage works on a physical, mental and energetic level and its inspiration comes from an ancient ritual performed by the Native Americans, who used hot stones of different sizes, applying them on certain points of the body. They are lava stones of basaltic origin and contain quartz, calcium, coal, gold and other minerals. In particular, they are capable of retaining and releasing heat in a gradual manner. The treatment works on a deep level, removing blocks and stiffening, relaxing and putting one in contact with a free flow of vital energy. It is a massage for promoting well-being which, adopting oriental techniques based on the use of perfumes and bags of spicy herbs, has a rebalancing action on one’s psychophysical functions. The combination of stretching and loosening exercises for muscles and joints, combined with breathing and relaxation exercises, is designed to increase muscle-tendon elasticity. The "Thai Oil" Traditional Massage helps to rebuild harmony in our body, too often altered by tension and stress, through the art of stimulating some points on 10 invisible lines called "SEN". Thai Oil is used to re-harmonize body and mind on an emotional and energetic level. Although gentle maneuvers operate very deeply on the lymphatic and circulatory system, eliminating excess fluids and lactic acid. The slight pressure is a real "Thai Lymphatic Drainage", in fact it is a delicate and very relaxing technique that makes the skin smoother, more elastic and luminous. Furthermore, this treatment is effective on painful conditions and on the stiffness of the limbs, back and muscular tensions. Ancient Indian manipulation technique to detoxify the body and restore energy balance. It can be done by one person using two hands or by two people using four hands. Alternating draining and stimulating manoeuvres reactivate the mimic muscles of the face. The antiseptic action of sulphur makes this treatment particularly suitable for oily and impure skin. 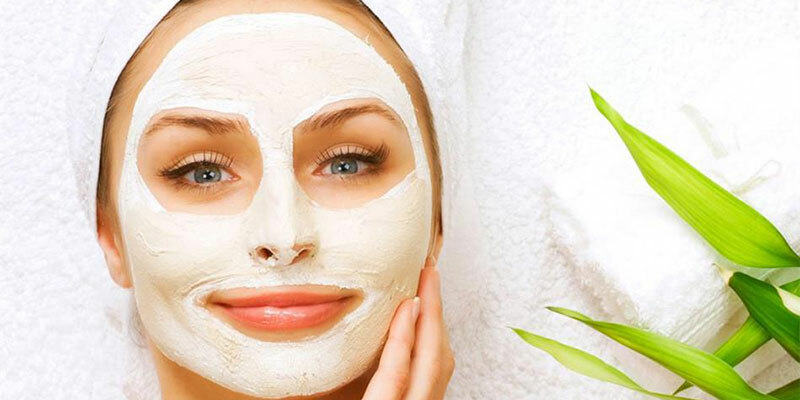 Restorant biorivitalizing Mask which, thanks to the Bach flowers contained in it, is able to act also on the emotional component, giving an immediate détente and brightness to the face, combined with a sensation of freshness and tonicity. Manual lymph drainage performed in accordance with the technique developed by Dr. Vodder for reabsorbing lymphatic stasis of the face-neck-décolleté. This peeling aimed at improving the aesthetics of the face is the most widely used facial beauty treatment for exfoliating and renewing the epidermis. The smoothing, regenerating, enzymatic peeling with a hydrating compress is performed by applying active exfoliating substances followed by a moisturising compress. 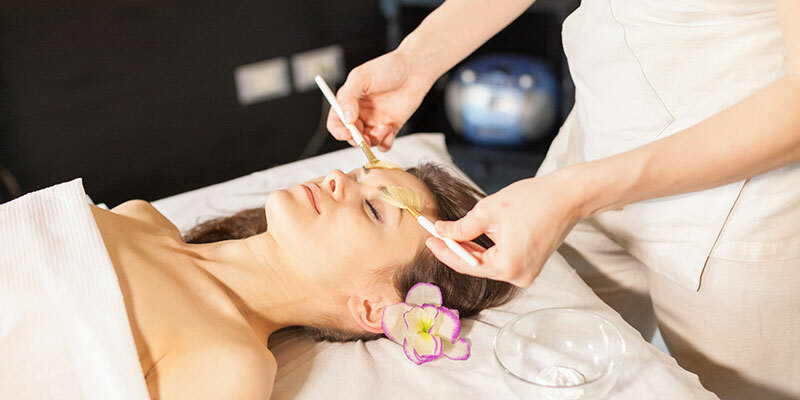 In aesthetics, facial cleansing is considered to be a foundation treatment, and it serves to remove impurities, dead cells (flaking corneocytes) and blackheads (comedones) from the skin’s surface. 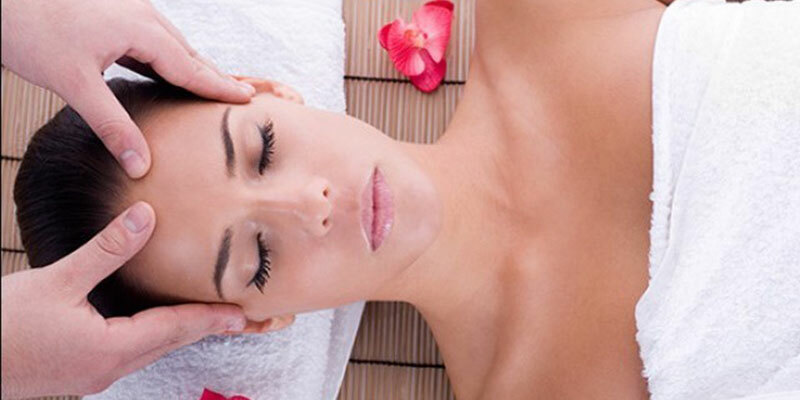 Ki Harmony is a massage for promoting well-being and face beauty. 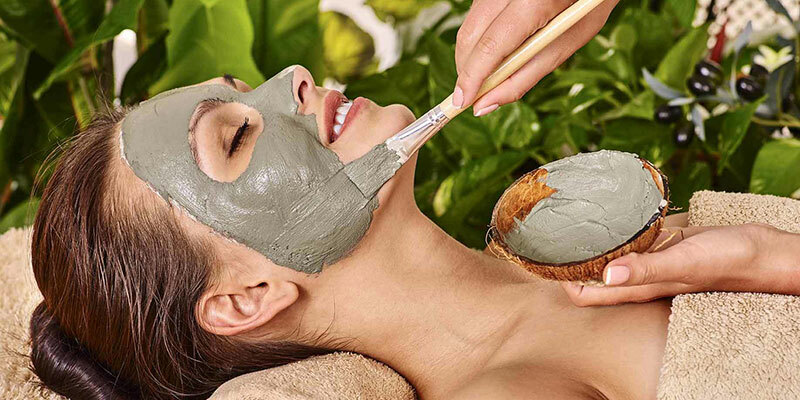 It is based on ancestral Chinese techniques and the use of innovative cosmetic products capable of stimulating the treated skin to produce beta-endorphins and therefore sensations of joy and relaxation. Beauty, happiness, well-being and relaxation in one, single treatment, becomes a reality thanks to the Ki Harmony massage method. 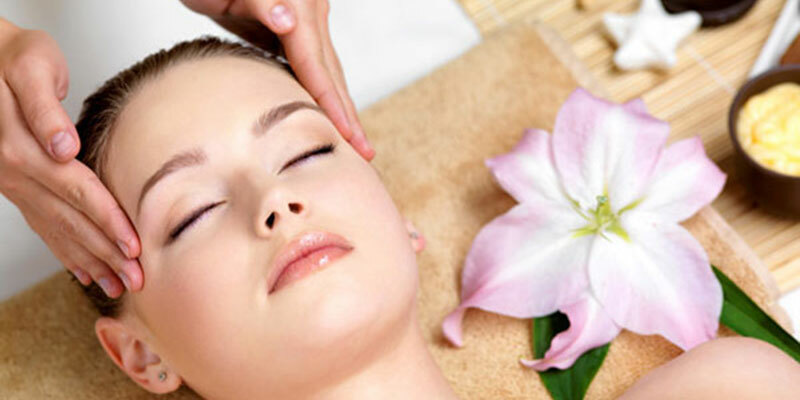 It is an anti-stress Massage with soothing brushing and acupressure manoeuvres. 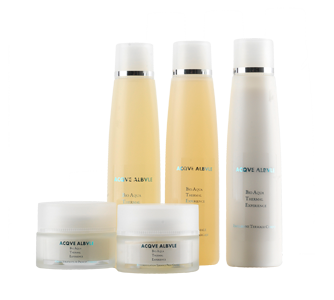 A particular feature of this treatment is the "dance of the brushes" for a "soft peeling" and skin hydration effect. Vitamin C creates a delicate, non-photosensitive peeling, blocks oxidative damage, moisturises deep down, and reduces acne inflammation. It leaves the skin radiant, uniformly hydrated and revitalises a lifeless tan. It is based on the Ayurvedic Indian philosophy according to which the body is crossed by energy flows which, when blocked for whatever reason, can cause disorders and illnesses. It is a relaxing and rebalancing massage. It facilitates facial circulation, relieves tension, alleviates headaches and cervical pain, improves vision, detoxifies, relieves negative emotions, improves concentration, and helps fight insomnia. 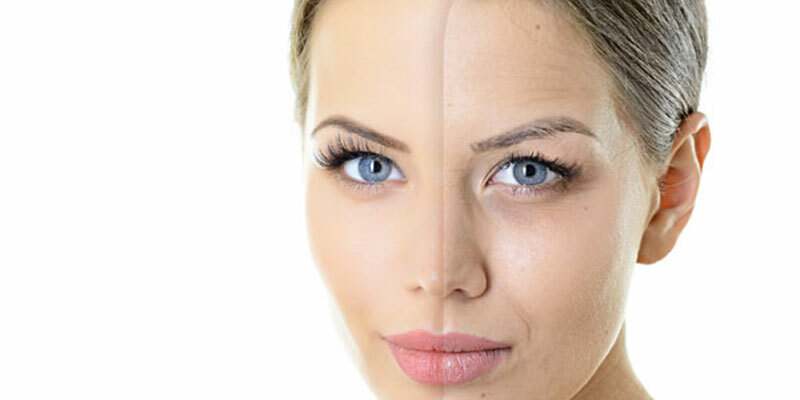 Biostimulation treatment with glycolic acid. 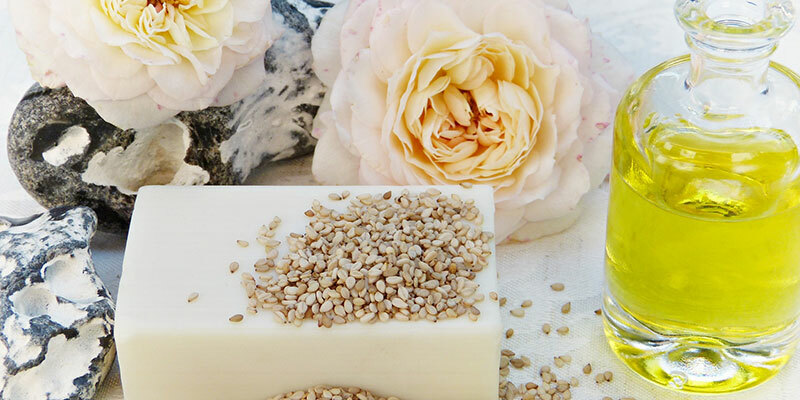 To refresh young skins or mature but delicate skins. High level of biostimulation and refreshing for mature and dull skin. Intense toning and regenerating action. Kirei means "beauty" and is a practice that takes advantage of the infinite potential of nature. 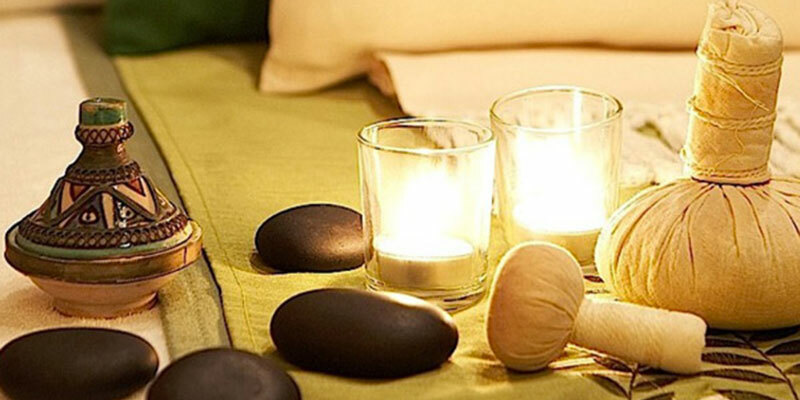 It's a ritual that serves to improve the quality of the skin and relax body and mind. Kobido means "old way of beauty" and is known as the "eternal youth" massage that enhances the natural color of the skin and helps reduce the signs of aging. In Japanese culture of Kobido, taking care of your face and her beauty means taking care of yourself and your own health. 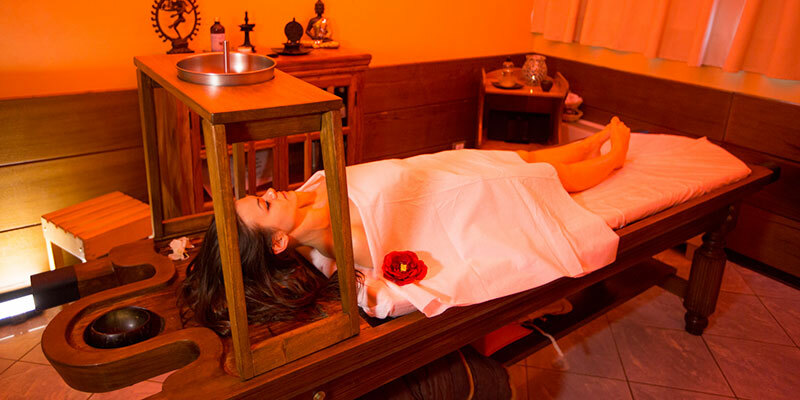 It is a treatment that can capture a great energy and at the same time an extreme relaxation. Through Kobido we will act positively on the elasticity of skin and tone and color will be enhanced. This treatment has positive effects on the circulation, oxygenates tissues, stimulates the nervous system, stimulates the production of collagen and elastin, produces a lifting effect and ultimately reduces muscle tension as well as the problems related to Temporomandibular joint syndrome. An ideal treatment for mature skin which has lost its tone. It gives an immediate firming effect. Exceptional as a preventative treatment. Decontracting localised massage. Acts on the muscles. 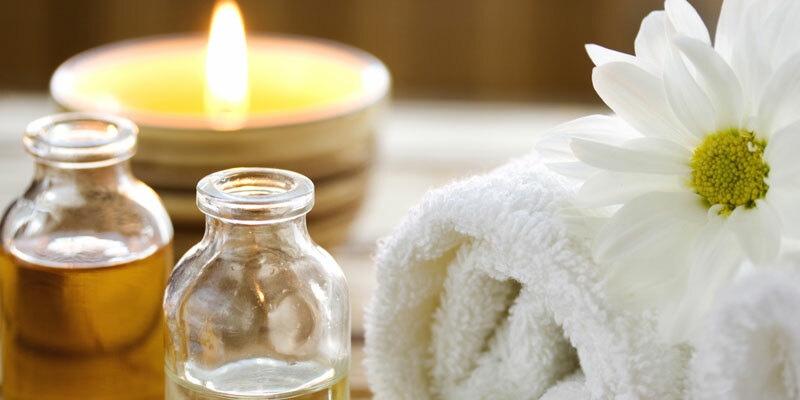 Special combinations of essential oils characterise the massage which, through stroking, friction and vibro-percussions, improves circulation, relaxes the muscles and moisturises the skin of the face and body. The hand and foot massage stimulates energy throughout the entire body. 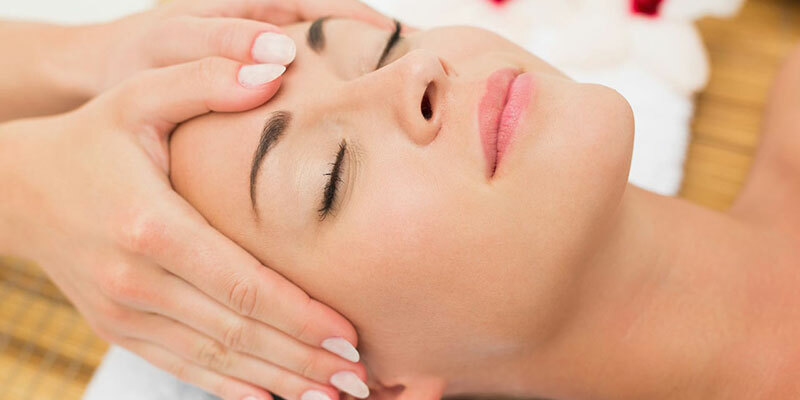 Through rubbing and acupressure, the treatment brings a state of general well-being, combined with a deep state of relaxation and abandoning of tensions. Irritability and dryness can be eliminated or reduced and the blood circulation increased. Wading through a constant depth of sulphurous water with variable temperature (vascular programme) is beneficial for those with circulatory and lymphatic insufficiency. It amplifies the beneficial effects of lymphatic drainage, aids the release of metabolic waste from the tissues and removes excess fluid in the cells. A natural practice, pioneered by Danish physician Emil Vodder, for the reabsorption of lymphatic stasis in subjects with both lymphatic and microcirculation deficiencies which, when performed alongside aromatic wrapping, produces a vasoconstriction action. Manual lymph drainage as studied and applied by the Danish physician Emil Vodder is a massage technique that is internationally recognised as being the most effective against oedema, lymphatic stasis, headaches, dark circles under the eyes and, in general, swellings caused by an insufficient drainage system. It is a particular technique in which the massage therapist performs very light touches aimed at "channelling" the lymph in the direction of the flow. The Vodder lymphatic drainage technique has remarkable effects. STIMULATING EFFECT ON A MICROCIRCULATION LEVEL – stimulates the passage of lymph into the lymph vessels and can increase the contractile capacity of each vessel. Lower limb massage, whose aim is to reactivate blood circulation. -Post-race phase: The massage carried out immediately after the race is aimed at decongesting the muscles, while if carried out after 24 hours from the race, it has defatant properties and promotes the elimination of lactic acid. "Cellulite" is an alteration of the adipose tissue, which originates from a degeneration of the microcirculation. It may present as edematous, fibrosclerotic or Fibro-edematous. Once you have established the type of imperfections you will determine the most suitable type of treatment.-Pre-Race phase: Massage prepares and heats the muscles;-Infra-race phase: The massage has the task of preventing the muscles from getting cold and eliminating the toxins accumulated during the activity;-Post-race phase: The massage carried out immediately after the race is aimed at decongesting the muscles, while if carried out after 24 hours from the race, it has defatant properties and promotes the elimination of lactic acid. Muscular massage basically works on myofascial structures that tend to block and reduce joint mobility. The benefits of muscular massage are manifold: the rich manoeuvres promote the increase of the blood supply, the venous and lymphatic flow; thanks to the increased tissue oxygenation and the mobility of the limbs, it reduces the sense of stiffness and pain. The postural massage is able to treat the dysmorphism and paramorphisms caused mainly by attitudes and posture not corrected, as well as stress. The anatomic areas treated are the main segments of the spine intended as a cervical, dorsal and lumbar tract. The stretching manoeuvres applied allow to dissolve, decontract and lengthen the postural muscles. Relaxing Massage full of soothing manoeuvres that give vibrant sensations of well-being while enveloping the couple in a magical atmosphere like no other.